Easy Operation: offer 48 hours lighting, the 2*CR2032 batteries can be replaced easily. 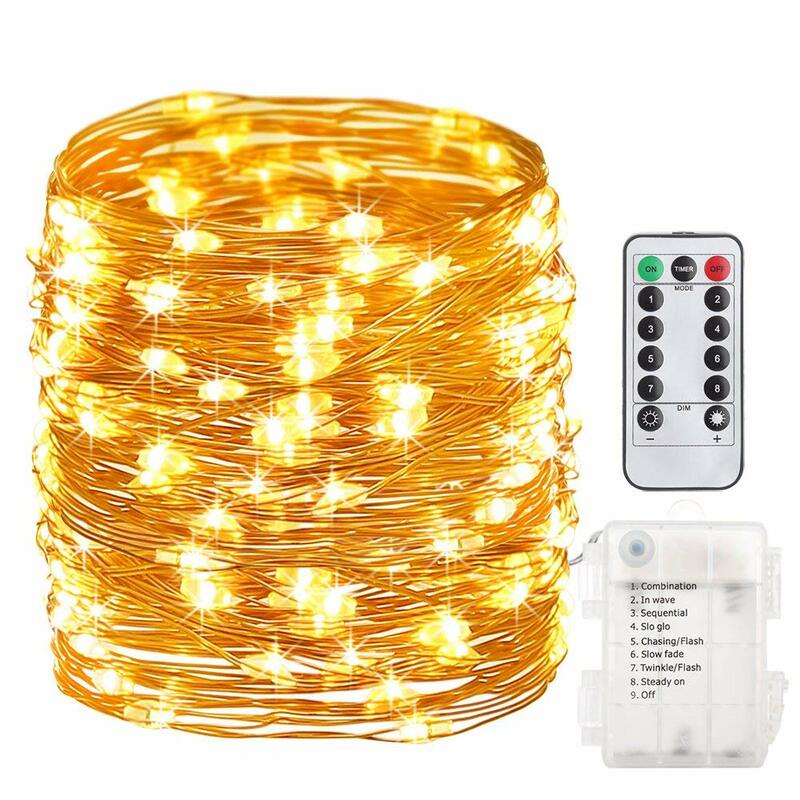 Portable: you can easily carry and place the lights anywhere you like. Waterproof: Only the copper wire part is waterproof, not included the battery box. 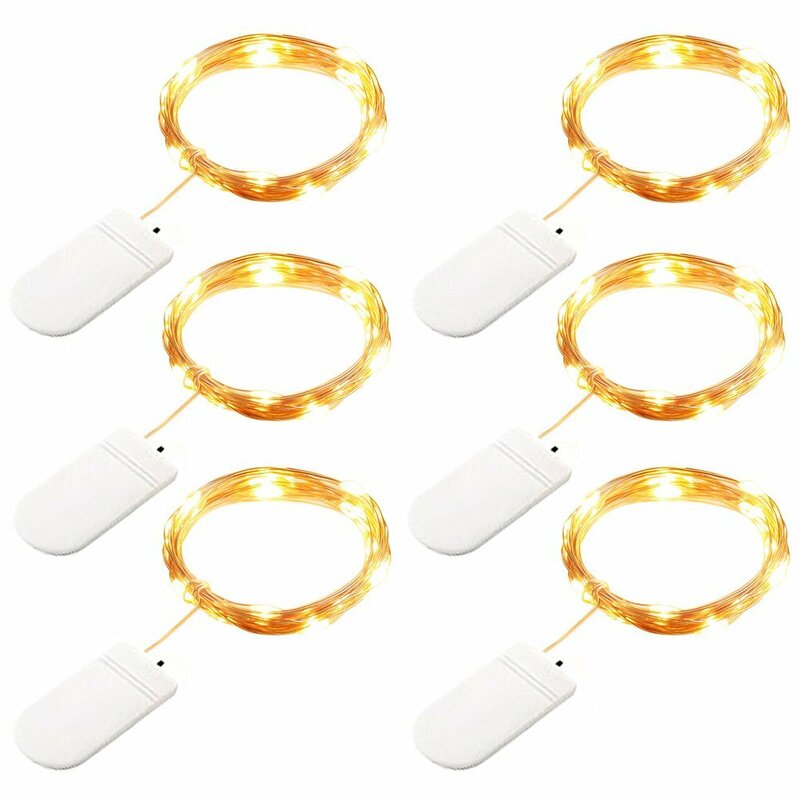 Decorate your life and home with the 6 pack 7ft 20 LED GDEALER Fairy String Lights. This battery copper wire light is really “Hot” in this Summer and Autumn. It looks like many stars flashing when you put the lights in the glass jar. The copper wire is flexible, you can bend it to any shape or wrapped it on anything you want like wreaths, trees, flowers , weddings with bouquets. There are many creative ideas of the starry lights for your patio, deck, front porch, room, kitchen, garden. Don’t hesitate to purchase it!! !